Tech moves fast. No duh, right? This is not new information, and I was fully aware of the momentum of the industry that I’m in. 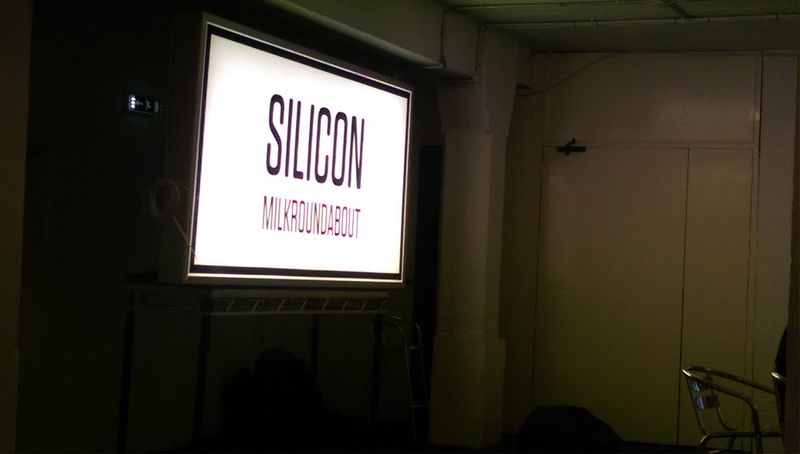 This is also not my first time at Silicon Milkaroundabout. 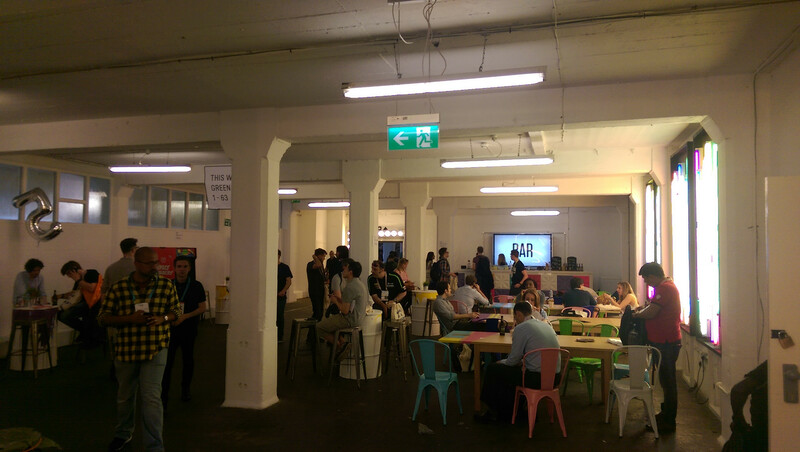 Silicon Milkroundabout (which I’ll shorthand to SMR) is a tech job fair which boasts to be like none other, with around 200 companies ranging from big names like Facebook, StackOvervlow and the BBC, to smaller start-ups going through their first round of funding to more established start-ups who are becoming well known and already making their mark. I noticed something interesting about the skills stickers today. They’re based on the popularity and demand of technologies among the companies attending and between today’s and last Novembers SMR they vary so much! I first attended in November 2015 and in only 6 months there has been a notable shift to using the new ‘language of the month’. It’s little surprise, really. A lot of the companies making up SMR are start-ups who from the get-go want to use the latest and greatest, and obviously don’t want to be using prehistoric technologies. For example ‘React.js’, and Docker, which made its sticker debut after gaining unbelievable traction over the last year. 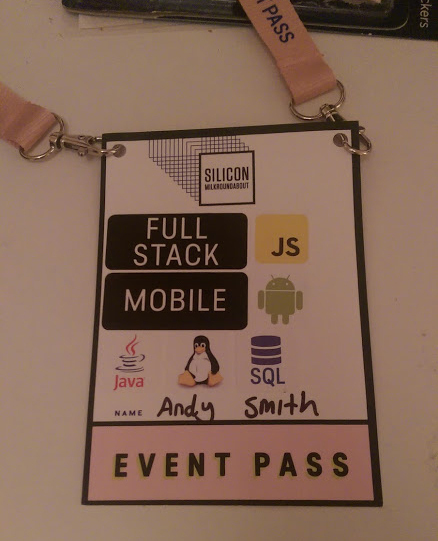 I honestly found myself struggling to chose skills stickers that I wouldn’t just be blagging. Regardless, I chose the few skills that I felt competent in and went to get my first free bottle of liquid courage from the bar with @Rossiar. SMR really is an incredible experience. You are surrounded by people in your domain who are so enthusiastic about technology and improving an aspect of the world through their software that it really rubs off on you. After leaving my first fair back in November I went home and immediately started designing my portfolio website and this blog; two things that I’d been putting off doing for a while by that point. SMR reignited my productivity and drive to get back on track and continue improving through self-teaching and research. It felt refreshing! Although it was a great day meeting and talking to a variety of people in the industry, it is exhausting talking about yourself in a passionate way for hours on end. Especially when temperatures in London today reached 26.6°C, making it the hottest day of the year so far. My short-shorts made their 2016 premiere which helped, at the risk of looking like an unprofessional idiot in front of prospective employers. Heck, most of them are start-ups. I’m surprised they weren’t wearing flip flops… which I say out of jealously rather than disdain, working for a corporate company employing a ‘business-ready attire’ . I returned home with my tote bag full to the brim of business cards, leaflets and branded pens exhausted yet buzzing, still experiencing some adrenaline from the days event. I’ll sort through the leaflets tomorrow.